The much anticipated list of 5 star wines in the upcoming 2012 Platter’s South African Wine Guide was announced at the Wines of South Africa Cape Wine Europe tasting in London today. The Platter’s Guide is widely recognised as the most authoritative and comprehensive guide to the world of South African wine, and this year more than seven thousand wines were tasted. One hundred and thirty nine wines were nominated for the coveted five star rating, with only forty five wines being awarded this top honour. We are proud to mention that this year all three of our good friends, Chris and Andrea Mullineux’s signature wines received five star recognition by Platter‘s ! This Platter’s success continues a great year in reviews for Chris and Andrea, as it follows the recent high praise from Robert Parker’s Wine Advocate. 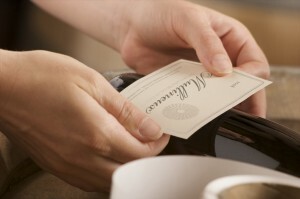 This American based publication is an independent consumer’s guide to fine wine, and the ratings are widely regarded as the most influential in the world of wine. 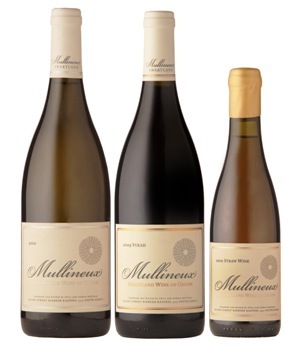 The 2010 Mullineux White scored 91 points, the 2009 Mullineux Syrah 92 and the Mullineux Straw Wine 94 points. Chris and Andrea are grateful and humbled with the recognition their wines have received thus far. That such a small and new winery focused on elegance and refinement, should obtain 5 stars for all 3 signature wines is truly an amazing achievement. Mullineux Family Wines adopts a minimalist approach to wine making and focusses on the expression of the Swartland’s special terroir. This acknowledgement is not only great for them, but also for the entire Swartland region, a place they are passionate about. At Augusta de Mist we are proud to serve some Mullineux classics, including the extremely rare and sought after Three Foxes Darling Sangiovesi.